In straitened times, collaboration is a word that seems to be constantly on the lips of those working in theatre. While this is no reason to drop the fight for arts funding, financial challenges have had the silver lining of producing a number of surprising but fruitful partnerships, be they between fellow artists, artists and venues, or across organisations. Among these collaborations, some of the most creative and supportive are those that have developed between theatre makers and higher education institutions. This is not a new link, as universities and drama schools have long nurtured the next generation’s theatre makers, but now several organisations are looking at how to strengthen, build and innovate these connections, offering benefits that go both ways. In many cases, such partnerships are born out of financial necessity. Clean Break, for example, have a 14-year, “multi-faceted” relationship with Royal Central School of Speech and Drama which was originally part of a funded education initiative, but their more recent partnerships with institutions including the University of the Arts and Rose Bruford had “an economic imperative” alongside the broader goal of widening participation. Director and writer Vicky Jones, meanwhile, admits that a real advantage of DryWrite’s partnership with Oxford School of Drama is that they do not have to raise funds for the projects they collaborate on. Although higher education institutions are also facing cuts, universities and drama schools usually still have more resources at their disposal than independent artists – resources which are increasingly being shared. James Stenhouse, one half of performance duo Action Hero, explains that a great benefit of their relationship with the University of Chichester is the opportunity this affords them to make work in a well resourced environment, an opportunity they might not otherwise have. Often the starting point for more extended partnerships is a simple teaching relationship which then develops into something deeper. Practitioners from Clean Break regularly deliver lectures for Central, while the foundation of DryWrite’s relationship with Oxford School of Drama is the company’s collaboration on the students’ third year show, which forms a cornerstone of their course. DryWrite now work to deliver a “unique and bespoke” final piece with third year students, bringing in playwrights such as Patrick Marber, Penelope Skinner and James Graham. However, as Stenhouse is keen to point out, independent theatre makers do not necessarily have to take on regular teaching posts in order to make a living. Despite Action Hero’s long relationship with the University of Chichester, neither Stenhouse nor fellow artist Gemma Paintin are on the staff, and Stenhouse stresses the danger of getting “caught in a loop where we’re training the next generation of artists to teach the next generation of artists”. In an attempt to break this loop, several of the organisations nurturing such relationships point to their vital role in bridging the gap between higher education and the reality of the theatre industry. At the most basic level, theatre companies working in partnership with higher education organisations can offer work experience for students, but often relationships extend much further than this. Paul Hunter of Told by an Idiot, whose relationship with RADA was the product of “completely artistic reasons”, explains that the school’s principal Edward Kemp was “very interested in the notion of actors making more of their own work”. As a result, Told by an Idiot have begun developing work with students right from its earliest stages, a practice that they hope to build on. Similarly, one of the crucial aims of the University of Chichester’s relationship with Action Hero – and, more recently, with artists’ collective Forest Fringe – is to offer their students a real sense of what it means to be a working artist. While most of these relationships have developed through a combination of necessity, accident and artistic curiosity, the longstanding partnership between Accidental Collective and the University of Kent has roots that go back as far as the company’s inception. When co-artistic directors Daisy Orton and Pablo Pakula decided that they wanted to make work together after graduating, the university offered them the opportunity to become their first supported graduate company, acting as “guinea pigs” for a new initiative to retain theatre makers in the region. 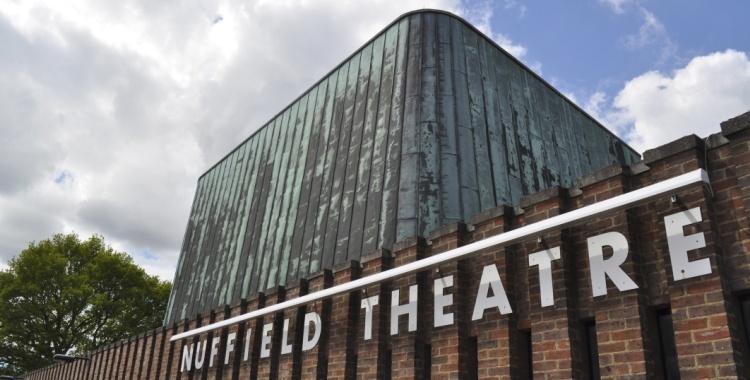 For Sam Hodges, the new artistic director of the Nuffield Theatre, it is important that the theatre’s relationship with the University of Southampton – on whose campus it sits – stretches further than just its arts departments. Since taking the reins he has been working simultaneously on a number of new initiatives, many of which link the activities of the theatre with the university’s leading science and engineering departments, with the aim of creating a “pooled vision and strategy”. “It makes sense that in a bid to perfectly reflect and embody the qualities of its environment, the theatre should create work that is provocative and intellectually stimulating, provide opportunities of training and professional development, and develop a profile and reputation which reaches well beyond Southampton into the national and international field,” Hodges explains. Perhaps the most exciting element of these emerging partnerships is their potential to create unique and unexpected outcomes, often through the collision of different artistic approaches. Hodges’ attempt to bring together art and science is one such instance, while the pairing of Told by an Idiot’s highly visual aesthetic with the more traditional actor training of RADA is another prime example. These unanticipated benefits can even have international reach, as with the cultural exchange that the University of Chichester have helped to establish between Action Hero, Forest Fringe and a group of artists in San Francisco.